Dedication of Jerusalem’s Wall – What a Celebration! Nehemiah 12 describes what I can only imagine as a totally awesome worship, celebration and dedication of event, but it’s easy to miss it because of all the details and names. So let’s remove some of that and catch a glimpse of the extravagant worship. This was no ordinary event. Israelite singers and musicians came together from all the regions. Perhaps you’ve participated in a large worship event. We used to attend a church that had regional retreats and people from a dozen states or so would come together – what a fantastic time of worship that was! A church in our community sometimes holds community-wide worship nights bringing together members of worship teams from several different churches. What a blessing! I attended two Promise Keepers events as a volunteer. I remember going into the stadium as the men gathered for worship at one of them. What an awesome sound as the men filled the stadium with powerful praise to God. I love those events. Better than any concert you’ve ever attended! Yet the worship described in Nehemiah 12 would have out-shined all of those. The singers and musicians didn’t gather together in a building or stadium. They gathered outside and celebrated around the entire city. The first group celebrated on the east wall of the city, walking toward the Sheep Gate. 31I led the leaders of Judah to the top of the wall and organized two large choirs to give thanks. One of the choirs proceeded southward along the top of the wall to the Dung Gate. 32Hoshaiah and half the leaders of Judah followed them, 33 along with [other leaders]. 35Then came some priests who played trumpets… 36b[Other priests] used the musical instruments prescribed by David, the man of God. Ezra the scribe led this procession. 37At the Fountain Gate they went straight up the steps on the ascent of the city wall toward the City of David. They passed the house of David and then proceeded to the Water Gate on the east. 38The second choir giving thanks went northward around the other way to meet them. I followed them, together with the other half of the people, along the top of the wall past the Tower of the Ovens to the Broad Wall, 39then past the Ephraim Gate to the Old City Gate, past the Fish Gate and the Tower of Hananel, and on to the Tower of the Hundred. Then we continued on to the Sheep Gate and stopped at the Guard Gate [or Muster Gate]. 40The two choirs that were giving thanks then proceeded to the Temple of God, where they took their places. So did I, together with the group of leaders who were with me. 41We went together with the trumpet-playing priests… 42and the singers…. They played and sang loudly under the direction of Jezrahiah the choir director. 43Many sacrifices were offered on that joyous day, for God had given the people cause for great joy. The women and children also participated in the celebration, and the joy of the people of Jerusalem could be heard far away. I love the juxtapositioning of worship with sacrifice and joy. We don’t often associate worship with sacrifice or sacrifice with joy. God’s like that. He brings together worship and sacrifice and joy. All that we sacrifice to Him is a form of worship. All that we sacrifice to Him both brings Him joy and is an act of joy on our part. Even when it’s hard. The Israelites gathered in the city and went to the top of the wall they had just completed. From there the broke into two groups. One went in one direction, the other in the other direction. Both groups playing their instruments and singing worshiping God. So loudly that they could be heard far away. Without any modern sound system! God is worthy of our extravagant praise! It is offensive to offer less. It is a discipline to put aside the things of the week and the frustration of the day when we step into worship, but it’s a discipline and sacrifice that not only honors Him, it brings us into His presence – which of course, is to our tremendous benefit. 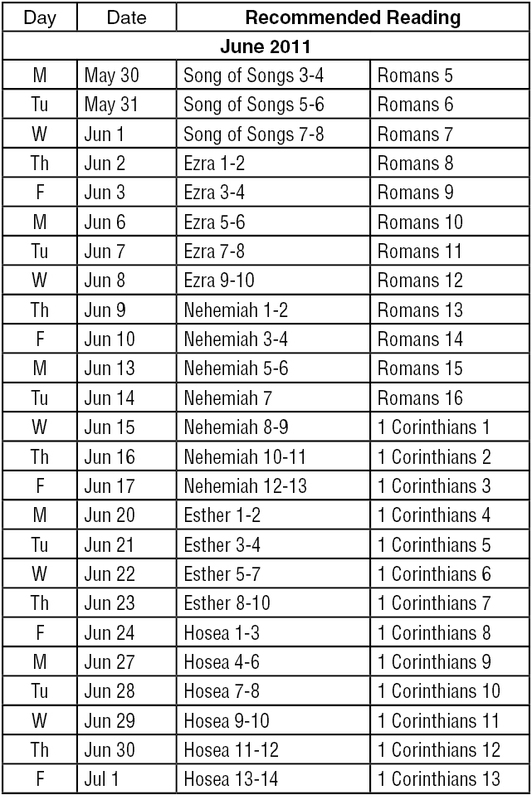 Friends, I challenge you to outdo yourself during worship in the coming month. Don’t just stand or sit and sing the words that appear in the hymnal or on the screen. Worship Him! And make it your lifestyle. God is so good. I love His peace. It comes from sitting at His feet and understanding that He is in control. It comes from sitting at His feet and knowing – knowing – that He loves me. What a great verse to remind us of the benefits of setting aside time for God! I pray that during this season when things can become so hectic and emotions can run amok, that you are setting aside time to enjoy God. …Time to linger in His presence. …Time to regain your strength. The Lord is waiting for you to come to Him so that He can show you His love and compassion. Do you want to experience His love and compassion this season? 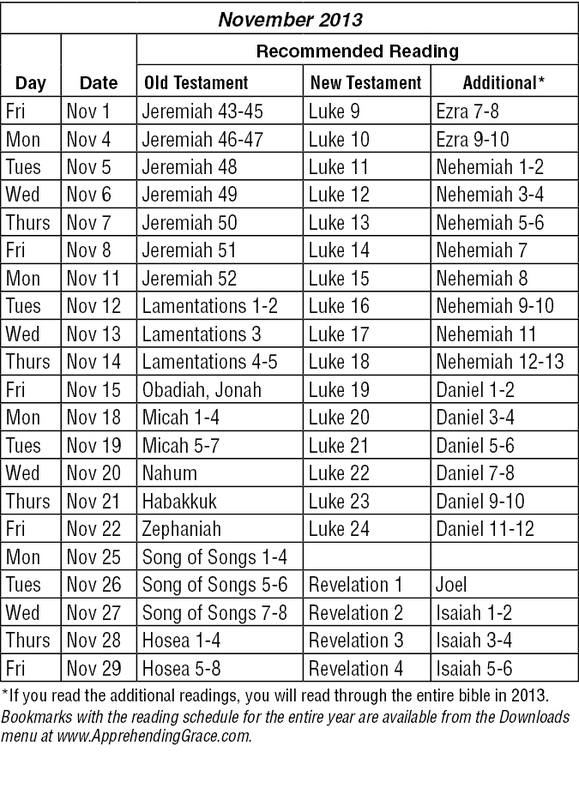 In these remaining weeks of 2012, pull out your calendar right now and schedule times (notice that said times, not time) when you will visit with God. 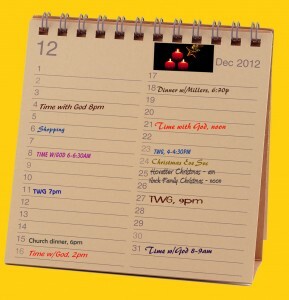 I’m guessing your calendar already includes scheduled gatherings when you will visit with family and friends. Add blocks of time when you will visit with God. It is during those times that you will find your peace (quietness of spirit), your confidence and your strength to meet all those other appointments. It is during those times when God can show you His love and His compassion. Don’t be late for those very important dates! God has something special for you. And just in case you don’t sense or experience it on your first date…don’t despair and don’t give up. Sometimes it takes a little bit of time to get to know Someone. And getting to know God is infinitely worth it! No go grab your calendar and make a date with God! Comments Off on Make the Date! 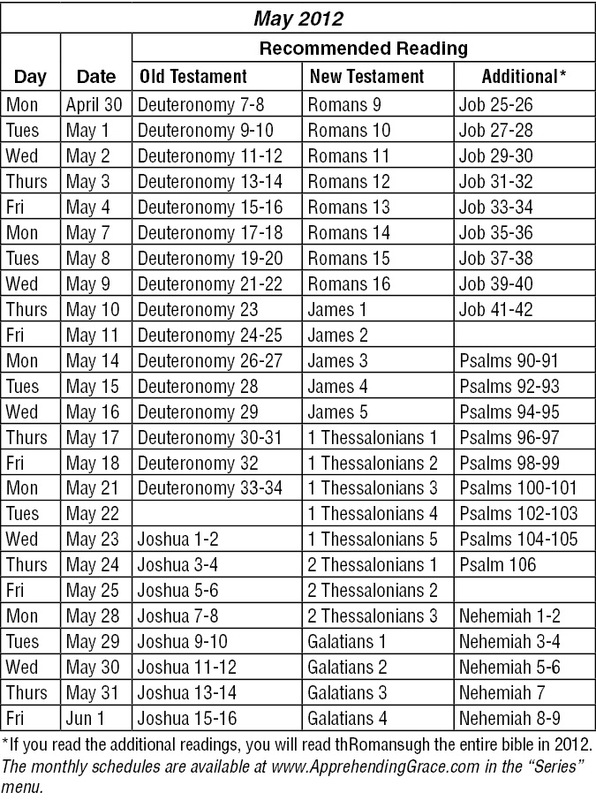 Track your reading along with us using the table below, the downloadable half-page PDF or the May/June bookmark. Share what God is teaching you with otherse. E-mail me, leave a message on the Apprehending Grace Facebook page, or post a comment at the end of any blog. Enjoy God as you watch spring unfold! 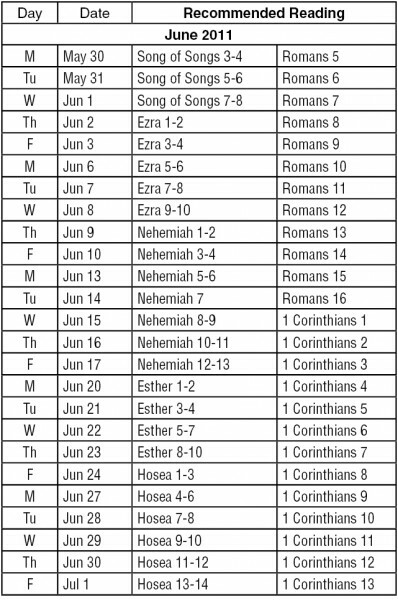 Construction Jobs, Queens, an Unfaithful Wife, the Love of God, and Wisdom on a Plethora of Subjects – all in the month of June! Construction, construction and construction – You’ll read about the rebuilding of the temple after the Babylonian captivity in the book of Ezra. 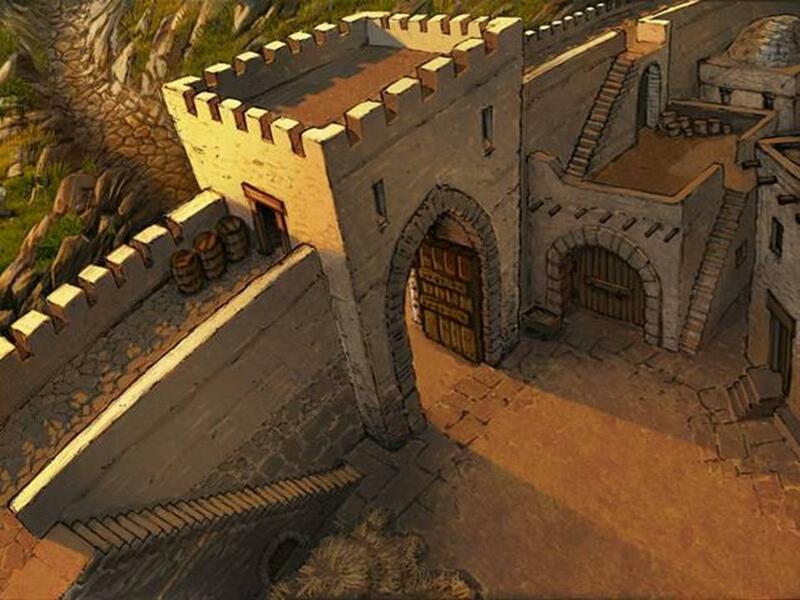 In Nehemiah you’ll read about the rebuilding of the walls of Jerusalem. Everyone knows the story of Esther – the young Jewish woman who would become queen and save her people. We’ll follow Esther’s story with the story of Hosea and his wife Gomer. The story of Hosea and his unfaithful wife Gomer provides a beautiful picture of how God takes us back again and again even when we are unfaithful to Him. I hope you’re enjoying the reading we’ve been doing in Romans. We’ll finish the book coming to such favorite passages as “Nothing can separate us from the love of God” (Romans 8) and Paul’s great prayer “May the God of hope fill you with all joy and peace as you trust in Him, so that you may overflow with hope by the power of the Holy Spirit” (Romans 15). Paul will provide wisdom about all sorts of things in 1 Corinthians: Spiritual pride, sexual sin, marriage, public worship, gifts of the Spirit, and more. I pray that God speaks to you each day as you read. Remember to pause and pray before reading – ask God to join you and open your heart, mind and spirit as you read. To download a PDF of June’s recommended reading plan, click here. 3Praise be to the God and Father of our Lord Jesus Christ, who has blessed us in the heavenly realms with every spiritual blessing in Christ. 4For he chose us in him before the creation of the world to be holy and blameless in his sight. Ephesians is one of the great books we’ll read in August. It’s truly one of my favorites. I quoted the above two verses, but trust me, I had to restrain myself from quoting the whole first chapter. We’ll read another book that is many people’s favorites: James. It’s a book chock full of practical advice and favorite verses…or at least verses you know well. How about these? 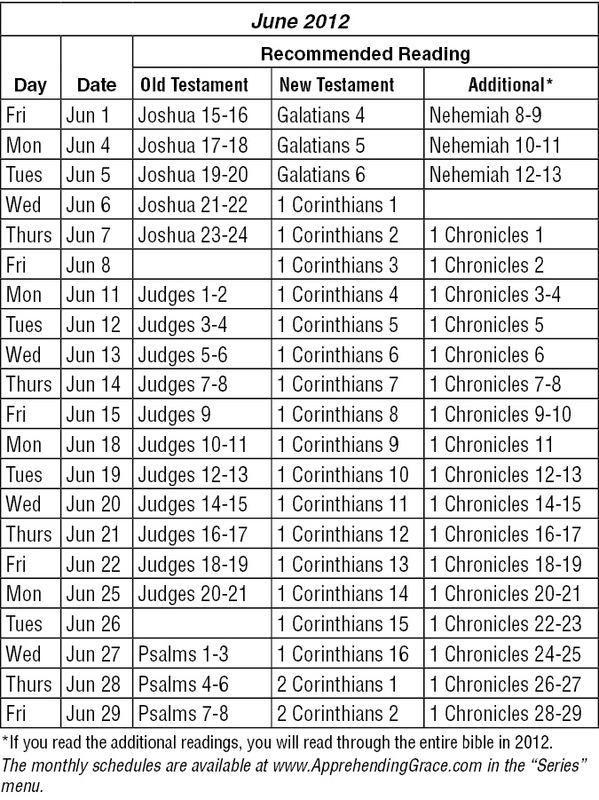 We’ll also continue reading in the Old Testament, finishing the last two chapters in 1 Chronicles and then moving on to 2 Chronicles. Ezra and Nehemiah are next — you’ll read not only about the re-building of the Temple, but also about how the hearts of the Israelites were turned again toward God. 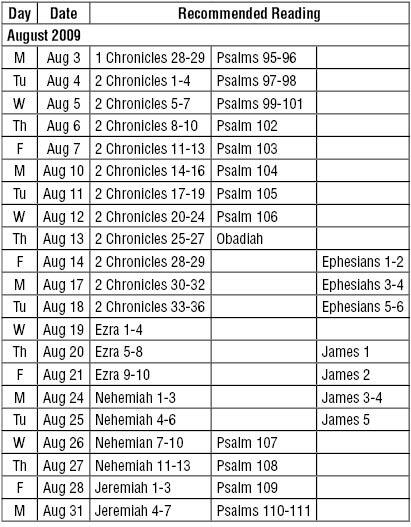 Throw about twenty Psalms into the mix and one minor prophet (Obadiah) and that’s our August reading. Some of you may find yourself beginning to fall behind. Let me encourage you to continue reading. It’s OK to be behind. Maybe you’ll finish reading through the entire Bible in fifteen months instead of twelve — and won’t it have been wonderful to have accomplished such a thing? 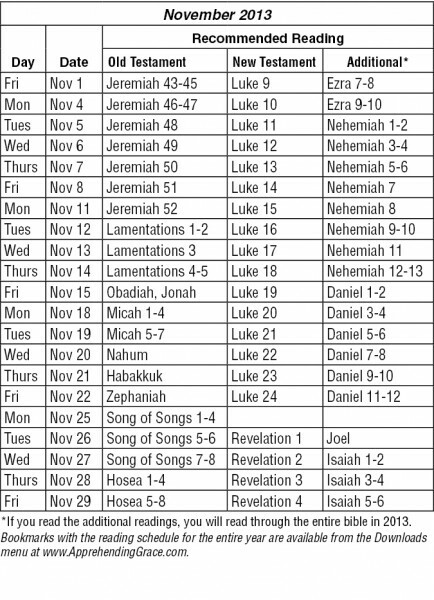 Or who knows — perhaps God will provide you with a window of time in September or October or November and you’ll find yourself catching up just in time to read the Christmas story in December! Take a summer break and read some Scripture! The beach would be a nice location! Enjoy! To download a PDF of August’s reading schedule, click here.